WARNING: No diving is allowed! 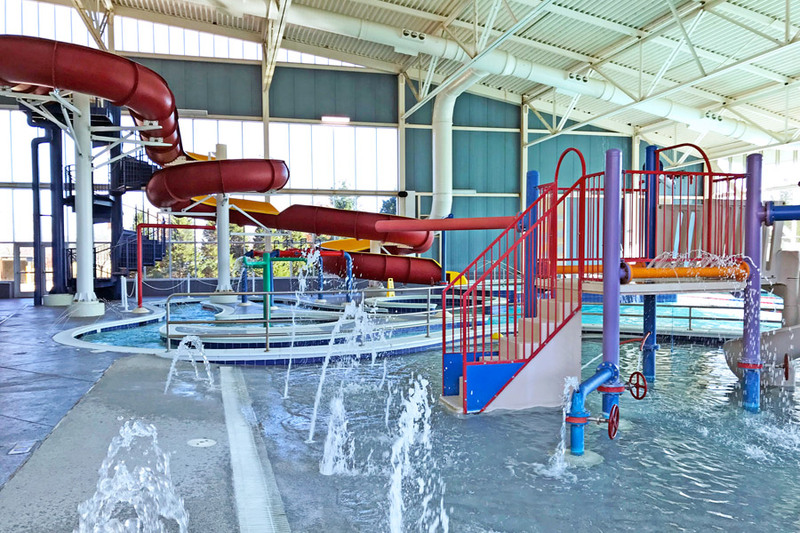 Programs include: Swimming lessons for all ages and abilities, aqua aerobics, special events, like the Underwater Egg Hunt and Pumpkin Pool Plunge, and miscellaneous other aquatics programming. 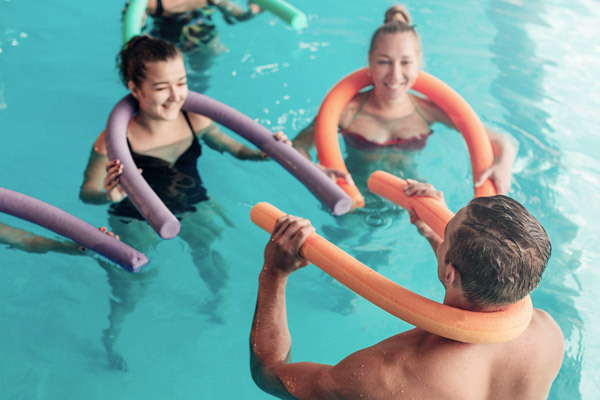 Can we bring inflatables to the pool? Unfortunately, no. An item must be coast guard-approved to be used as a safety device. We offer free life jackets to our patrons they can use while they are swimming at our facility. Can we bring our own food into the pool area? No. Only water is permitted in the natatorium. We have a wet/dry concession stand that is open daily with tables and chairs a short distance from the pool. If I am swimming laps, may I use your equipment? Absolutely! Any of the equipment can be used by our adult patrons. We only ask that you take proper care of the items and put them away when you are finished. Please note: we do not allow children to use to swim lesson equipment. How tall must a child be to use the slide? Your child must be 48″ to use 185-foot water slide. They cannot wear goggles or life jackets while going down the big slide. For children under 48″, there is a kiddie slide in the zero depth area. A life jacket may be worn on the smaller slide. What ways are there to enter the pool? 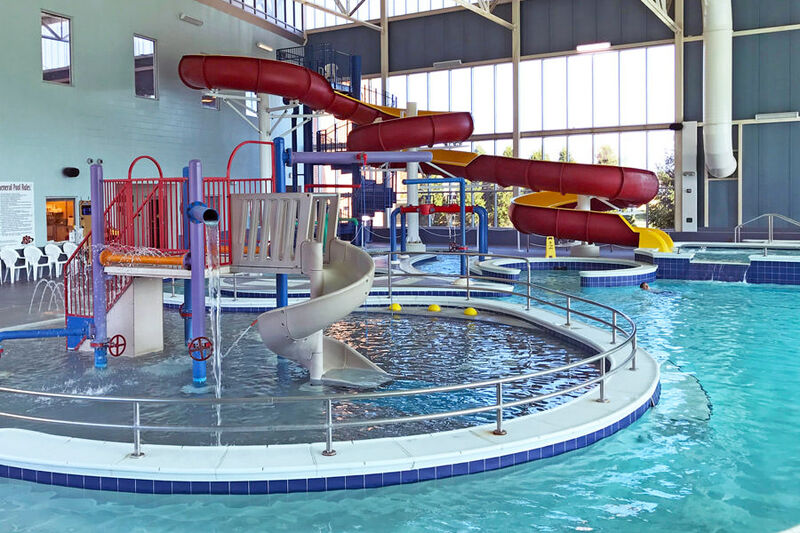 You may enter the pool four different ways: stairs with a railing, zero-depth entry walk in, a ladder in the lap lanes or an ADA-accessible chair lift. How deep is the pool in the natatorium? 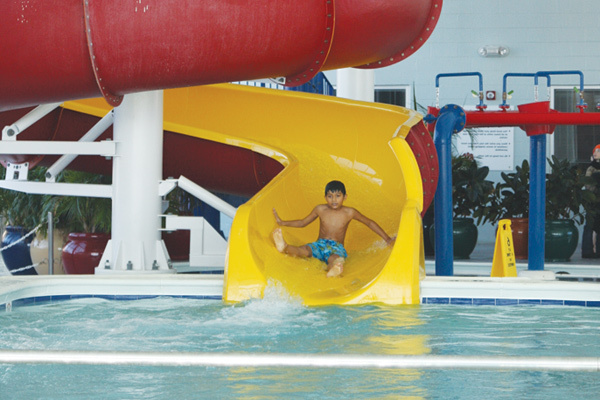 The deepest part of our pool is 54″ or 4′ 6″. We have a zero depth walk in area and the middle of our pool is 42″ or 3′ 6″. SA 12 p.m. – 6:30 p.m. Extra swim times are available on special days. 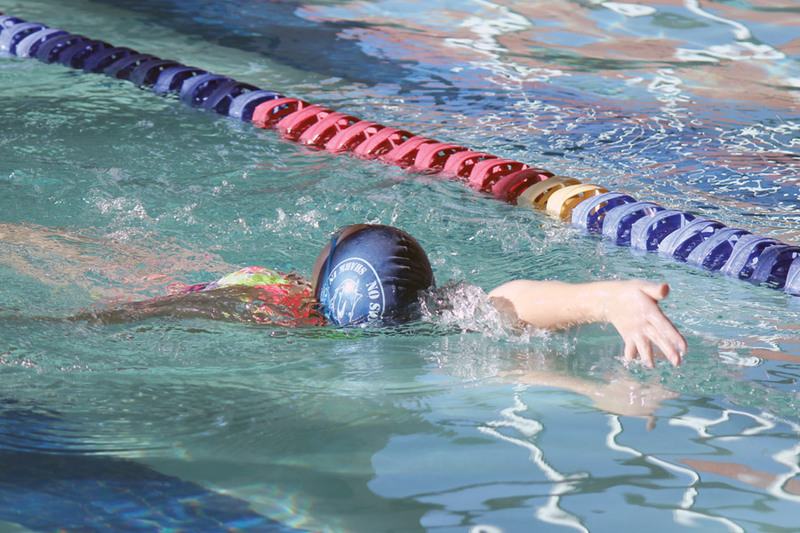 View the Renaud Center Drop-in Pool Schedule (PDF). 5:15 a.m. – 7:30 a.m.
M/W/F 12 p.m. – 4:15 p.m.
TU/TH 3:15 p.m. – 4:15 p.m.
SA 7 a.m. – 8:30 a.m.